Looking For A Delicious Summer Salad? There is nothing quite like a crisp and crunchy salad in the summertime...or a potato salad or a macaroni salad for that matter. On this page, please join us in our celebration of the magnificent summer salad. Here you will find links to a collection of fantastic salad recipes and resources all perfect accompaniments for grilling season. We urge you, however, to consider eating these salads all year long because, of course, salad is good (and good for you) at anytime of the year. Click here to order this Summer Salad Poster from Allposters. Adapted from the Looneyspoons cookbook by Janet and Greta Podleski, my family truly loves this special leafy green salad and yours will, too. Whether it is truly representative of Hawaii has been debated but the fact that it is a delicious summertime salad has not. It has a host of wonderful ingredients, some ordinary for potato salad, others a bit more unordinary. Regardless, if you are looking for a delicious, nutritious take on potato salad, you'll want to be checking out this one. It never ceases to amazing us how lovely this snow pea salad is. 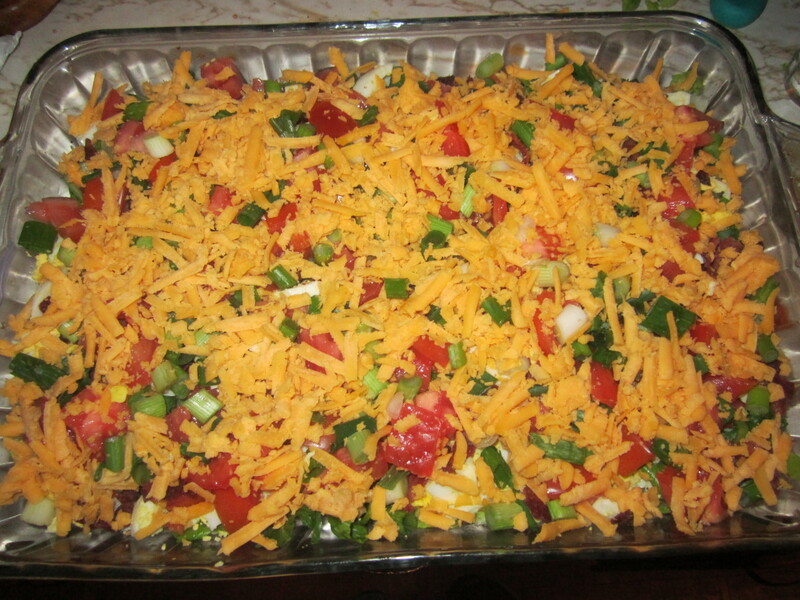 It is crisp and fresh and colorful, making it a wonderful side dish with poultry. The Best-Ever Molded Rice Salad recipe is a bit more unusual being a cold rice salad. 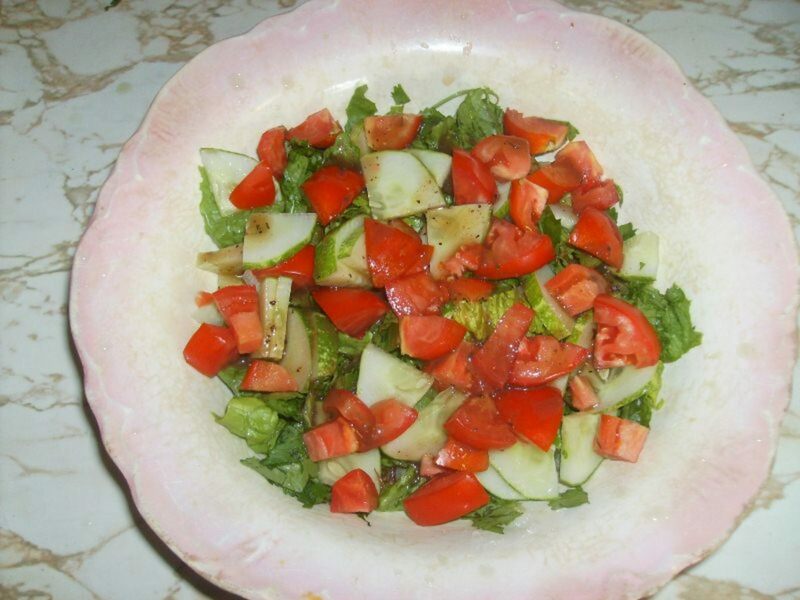 Customize it a bit with your favorite fresh vegetables and you have a heartier salad addition to your meal. 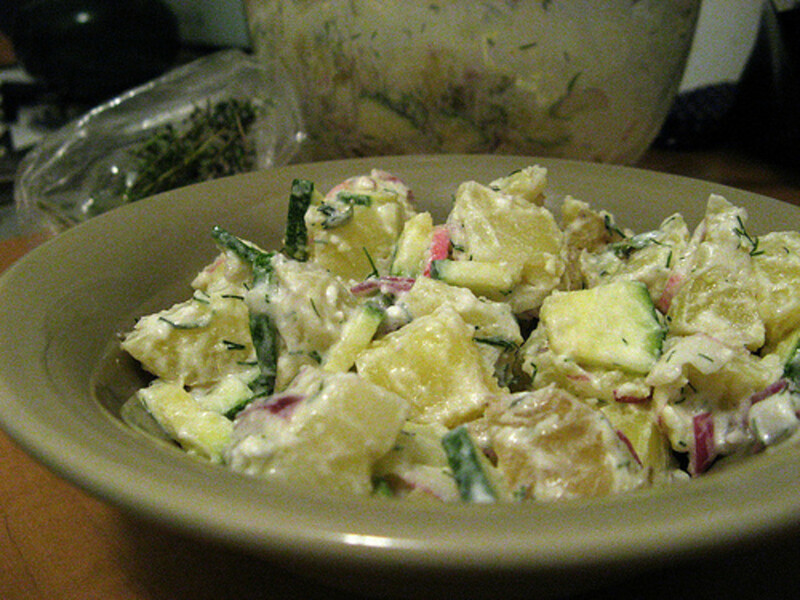 Another one of Susan's recipes, this German potato salad recipe sounds warm, and as Susan herself says, a bit different. It is not overly complicated and it cooks up quickly. Visit Martha Stewart's Quick Side Salad Recipes collection. Visit Martha Stewart's Quick Main-Course Salad Recipes collection. The Food Network invites you to try this Broccoli Salad recipe from Paula Deen. The Food Network invites you to try this Corn and Asparagus Salad recipe from Paula Deen. This salad is known and loved around the world. Those of you who've been lucky enough to eat this salad in Greece will know that when it's made well it's absolute heaven. The Food Network invites you to try this The Mothership Tomato Salad recipe from Jamie Oliver. The Food Network invites you to try these six whole grain salad recipes from Rachael Ray. The Food Network invites you to try this Black Bean and Corn Salad recipe from Rachael Ray. The Food Network invites you to try this Mediterranean Salad recipe from Giada De Laurentiis. Enjoy these 15 Wolfgang Puck salad recipes. Food Network invites you to try this Guacamole Salad recipe from Ina Garten. This quick and easy recipe made with apples, bacon, and blue cheese is hearty enough for a main dish, perfect for the fall, and great when you're short on time. Items we cannot live without. Definitely a handy tool when making a tossed or green salad is a salad spinner and we love ours, the Oxo Good Grips Salad Spinner. Read our complete review of the Oxo Salad Spinner by clicking right here or follow the following link to read more on Amazon. My Presto Saladshooter and I first met about five years ago. We were introduced at my cousin's home when we were tasked to work together to prepare supper. My cousin, Wil, handed me HIS Presto Saladshooter and said, "Here you go, YOU do the cheese.". 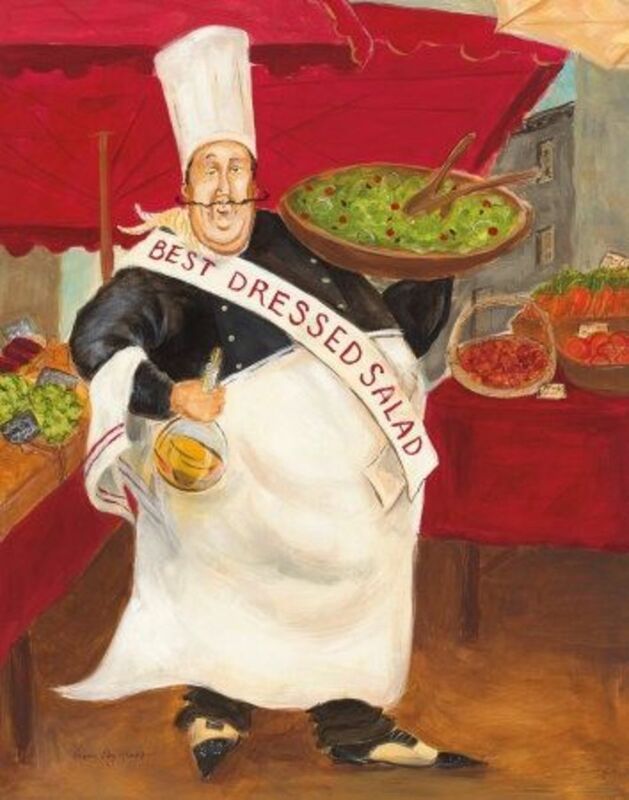 If you are like many of us and want to avoid some of the additaves, fat and sodium that can be found in commercially sold salad dressings, you might like to check out Well Dressed: Salad Dressings by Jeff Keys. Within the covers of this cookbook you will find 75 recipes for vinaigretes, creamy dressings, and even warm dressings to use on your green salads, pasta salads, vegetables, and even with which to marinate meat . Do you love a summer salad? Yum. I love salad. In China we have to be careful to only eat salad at home or where we know it has been washed well and rinsed with clean water. It makes making salad a little more tiring! But it is worth it. Thanks for all the recipes you collected here. 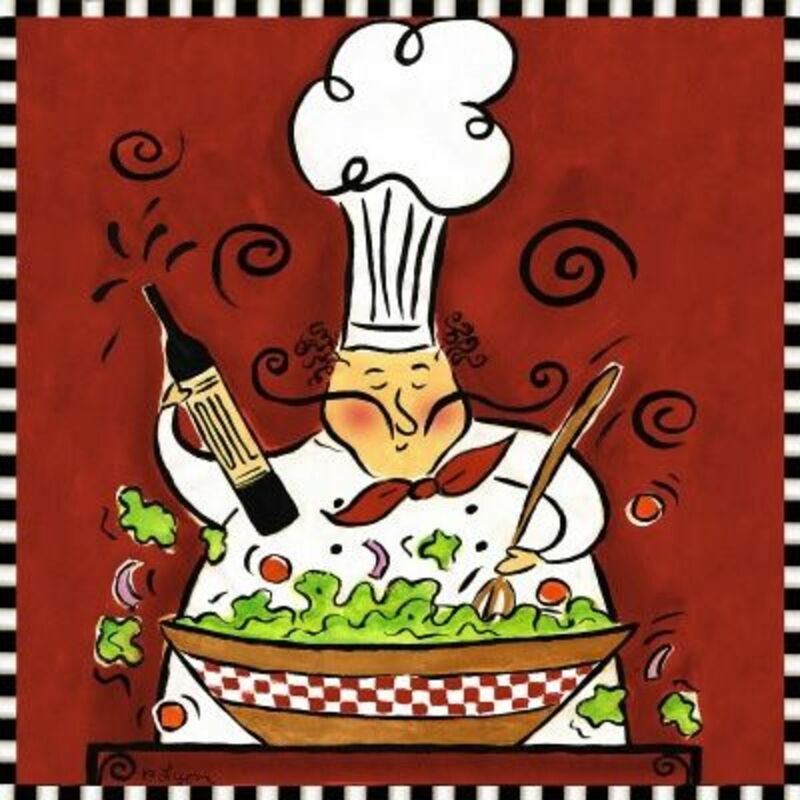 Great collection of salad recipes - thanks! good stuff! Thanks for the lens. yummy salads and yes, I want potato salad too, right now! There are enough recipes here to last all summer, but only if I get started cooking ASAP! Great lens - kudos on making the BBQ monsterboard! I have been in the mood for salad for days now. Just tossed up a simple Greek salad last night - romaine, olives, red onion, cherry tomatoes, feta then drizzled with olive oil and balsamic, which kinda sorta curbed my cravings. Mmm! to your summer salad list. Well It looks good. i would love to try it ASAP. How fun! Thanks for all the great recipes. congrats on making the monsterboard. What a wonderful tool for using throughout the year! Thanks for sharing this lens and Gratz on making the Monster Boards! Nice list of resources for about any sort of salad anyone would like! Now, I'm hungry fro a good dollop of potato salad! Great lens and will definitely be trying some of your recipes soon! Thanks for sharing! I love making fresh salads especially tomato, mozzarella and basil with balsamic vinaigrette . Excellent recipes - thanks for sharing. I've been eating loads of salads lately, since I'm doing Weight Watchers (those pesky 20 pounds!) so the more variety, the better. Plain ol' lettuce, tomatoes, cucumbers and carrots gets old. It's getting warm enough here for summer salads. I've been craving potato salad! I thought I made a lot of salads, but I think you've got me beat! Super selection. Awesome! I agree with Robin, this is a super summer salad resource list. Love the artwork, too! (Thanks for including a couple of my salads, too!) Did I say ! ? This is my new summer salad resource list!